What Is Your Favorite Breed Of Dog??? If asked what my favorite breed of dog is, I would have a hard time deciding. I like almost all large breeds, and even the good old mutts and mixes. I believe a dog should be big enough to help protect you and your home. Lets face it ankle biters aren’t much of a deterrent to a would-be attacker, and other animals. 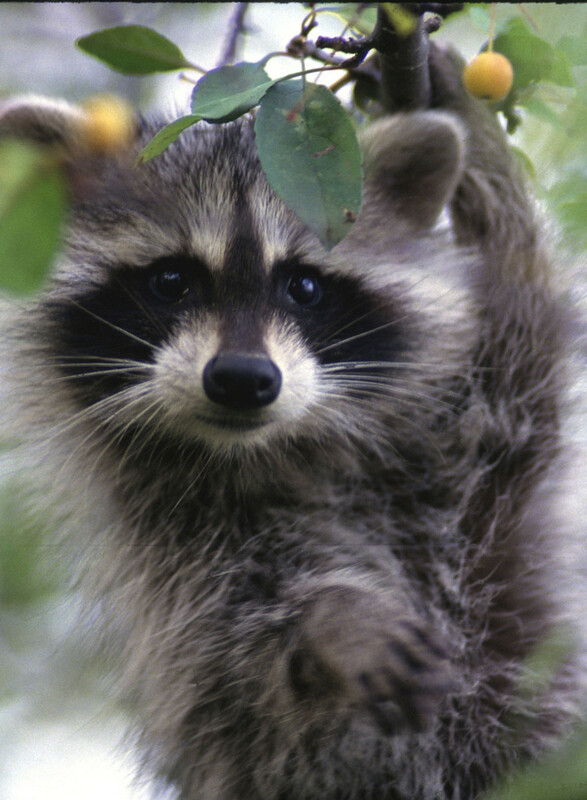 Depending on where you live, you might even find yourself having to protect fluffy from the local wildlife. If my wife and my wallet would allow it, I would have one of each breed up to and over one hundred pounds. 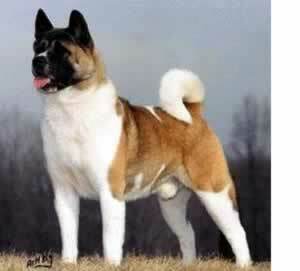 My latest breed I have taken an interest in is the Akita. 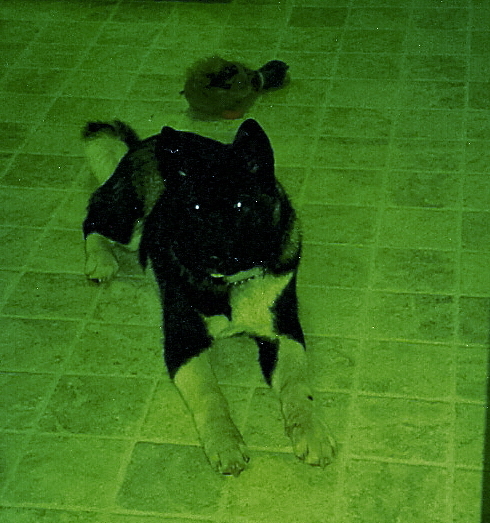 I have been an Akita owner for the last six years. This particular breed has acquired an undeserved bad reputation, as did the pit bull (another favorite) for their use in dog fights. In the wrong hands any dog can become vicious. It’s their capabilities under these circumstances that earns them this rep. However it’s these same capabilities that make them a good loyal protective companion. 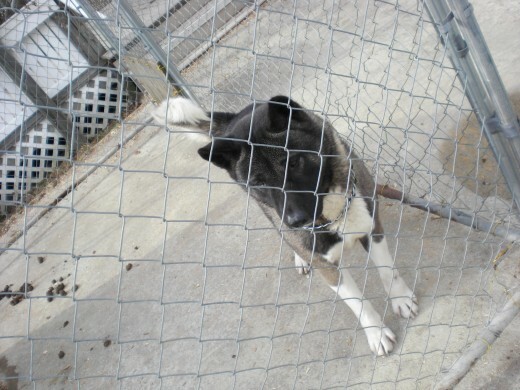 An Akita for instance, if treated good and well socialized, will be loyal to you to it’s death. At the same time if it’s protective nature is abused or over encouraged, it will become a monster. I highly encourage breeders of large capable breeds to carefully screen all potential buyers. It only takes a few people with bad intentions to ruin your breeds reputation. 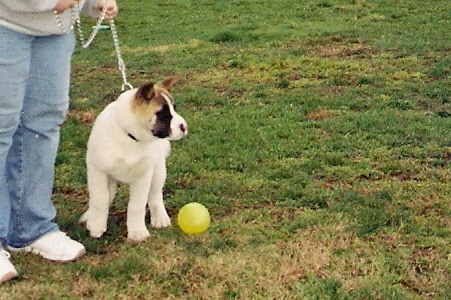 Akita’s are the largest of the Japanese Spitz breed, and are highly treasured in Japan. 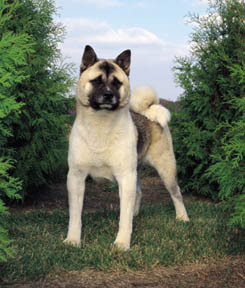 The Americanized Akita has seen a few subtle variations from its decent from Japan. The most distinguishing features of the Akita are it’s big triangular head and pointed ears that almost seem to point slightly forward inline with its muscular neck. Secondly, they have a thick tightly curled tail, which often causes them to be mistaken for huskies. One of the most interesting things to me, about this breed, is the wide variety of colors and markings. 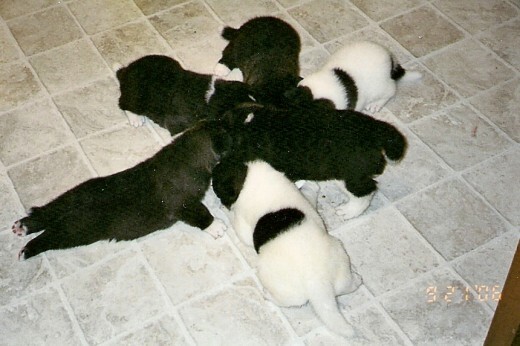 Most pure breeds only vary slightly in this area, however the Akita is acceptable in almost every color in the crayon box. 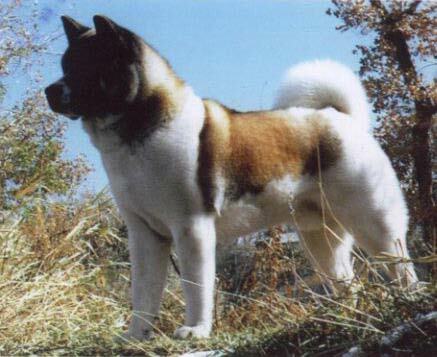 Another admirable trait of the Akita is it’s heavy bone structure, these dogs are well built and very rugged. They also have a majestic gate, they move almost like a big jungle cat. 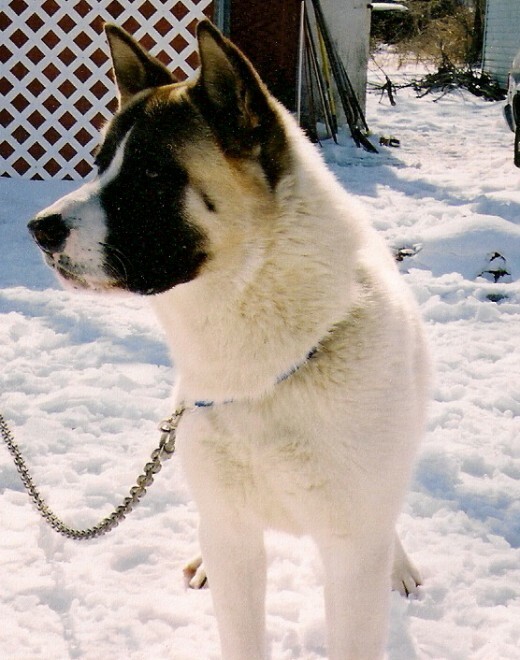 A well breed Akita is a very beautiful sight. This beauty matched up with it’s awesome protective capabilities are what lands this breed in the #1 spot on my list. A few of my other favorites include in no particular order the Cain Corso, Blood hound, Rottweiler, Pit Bull, Alaskan Malamute, Neapolitan Mastiff, German Shepherd, Husky, Great Dane, Labradors, and the always lovable Mutts And mixes. 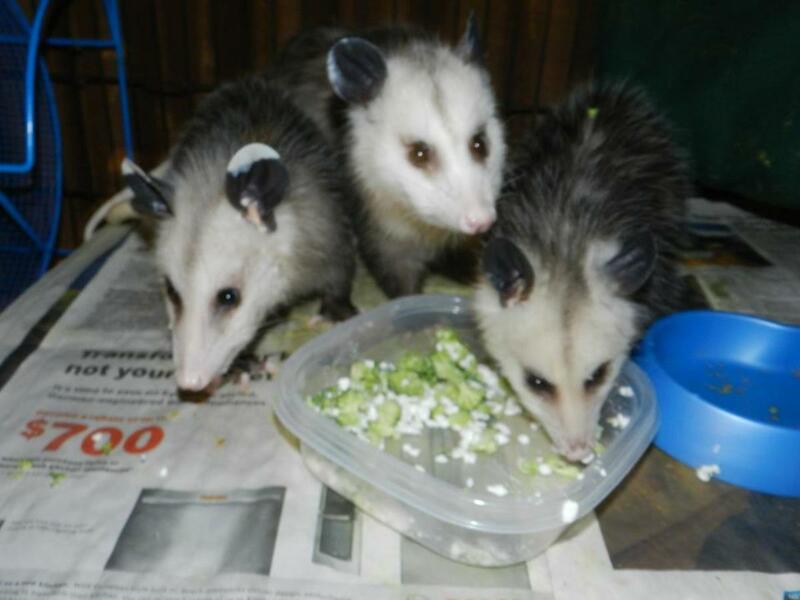 I strongly urge anyone thinking of becoming a pet owner, to research the type of pet you are considering. Make sure you are making the right choice for you, and the animal. Ask yourself these questions before buying or adopting any pet. Will it meet your needs, and are you able and willing to meet it’s needs? 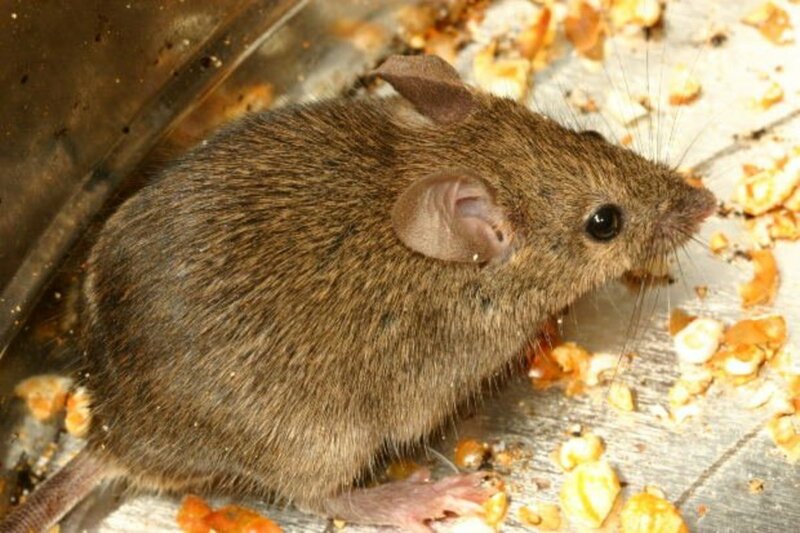 Will this pet be compatible with children or other pets? Am I willing to stay committed to my decision? This isn't one of our's but a good picture of one. Again, not one of our's. Just a good picture of one. Wonderful pix of your dogs. I love the larger dogs. I can't say I have a favorite breed, maybe mastiff. How about the St. Bernard? Right now, I have brother and sister chow and australian shepherd mix. (The brother is my profile) and a lab and some kind of shepherd mix. All loyal dogs and all different personalities. By the way, happy to have read your hub. 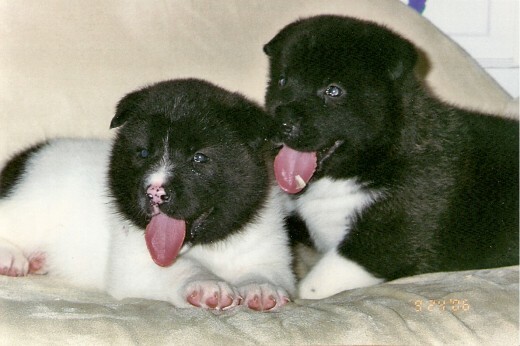 I love Akitas! Great Hub! thank you for visiting and commenting. animals are great gifts for God. they make great companions. Akitas are beautiful dogs. Our favorite is Springers. Enjoyed your hub.